The moment you drove your vehicle off the dealer’s lot it automatically lost value. We’re all aware of this drop in value, but there’s still a way to preserve the heart of your vehicle–its engine. Transportation Repair in Logan, UT is your total car care facility, and the single most important auto service is the oil change. This will clear your engine of all dirty, contaminated oil, as well as lubricate the engine with proper brand and grade of motor oil. When drivers go a long time without lube service, the motor oil will continue to break down and lose viscosity. This will lead to an engine that’s forced to work harder and is prone to overheating. Your goal should be to get the biggest return out of your investment in quality road travel. That’s the goal with every maintenance service that we provide. The service intervals for your specific vehicle are determined by your vehicle’s age, your driving habits, and the manufacturer’s recommendations. Engines are often forced into early retirement simply because owners did not give them enough attention. Vehicles that are expected to do a lot of hard-driving–towing, loading, pulling–usually need shorter oil change intervals. Our experts take all factors into account when designing your oil change service schedule. Any auto service appointment may feel like a hassle if you’re at the wrong facility. Transportation Repair is here to save you time and money, making a visit to our shop well worth your time. With our clean and consistent maintenance service schedules, you can extend your engine’s road-life. We’re always using the best quality motor oil brands that match your vehicle’s need. You’ll notice an improvement in gas mileage with every service interval. Save more money at the gas tank when your engine’s not forced to work overtime. 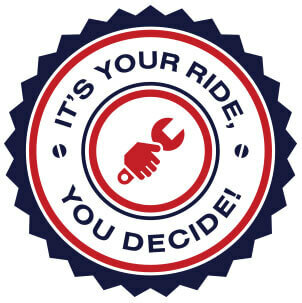 Timely lube services also prevent your engine’s metal parts from colliding, creating friction, and overheating. Is it time for another lube service? If you’re not sure, then the answer is probably “Yes.” Most owners realize the irreparable damage that can be done by failing to change the oil. However, many underestimate the problems caused by missing lube service intervals. Just because you can drive a long time and for many, many miles without an oil change, doesn’t mean it should be done. This is a sure fire way to shorten the engine’s road-life and compromise your vehicle’s performance and efficiency along the way. Give us a call today at 435-774-0071 to schedule your next maintenance service. Save some time by using our convenient online scheduling system right now. Next time you’re in the area, stop by our shop and get placed on the appropriate oil change schedule.